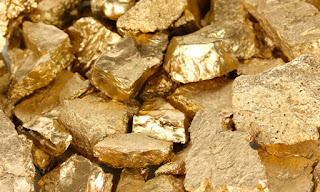 ZVISHAVANE-Two Zvishavane men were ordered to pay $80 fine each or serve 30 days in prison for stealing 20kgs of gold ore from Sabi Gold Mine. Benedict Moyo and Christopher Bangaki of Makono Village under Chief Mazvihwa said they planned to steal the gold ore from Sabi Mine because they had financial problems back home. They also told the court that they divided the gold ore each getting 10kgs so that they would buy food and clothes after processing it to get the gold. “We had hope that we would get more from the ore which we had stolen at Sabi Gold Mine and we wanted to buy ourselves nice clothes,”saidBangaki. However it is in the state case that the value of the gold that was in the 20kg gold ore was on $8, 51 and the gold ore was recovered. It is in the State outline that on October 23, 2018 a security officer at Sabi Gold Mine who was on duty doing patrols around the mine saw Makono and Moyo trying to escape from the mine shaft. The security officer then reacted and managed to arrest the two and the matter was then referred to police for further documentation. The matter was heard by Zvishavane Magistrate Shepherd Munjanja.